SANAA, April 14 (YPA) – Israeli occupation forces on Sunday morning carried out a raid and arrest in various parts of the West Bank, arresting 13 Palestinian citizens. Palestinian sources reported that the Israeli occupation forces arrested two children from their homes in the Ras al-Arouz area of Sa’ir town, northeast of Hebron. The occupation handed over a free prisoner notice to review its intelligence after they raided his home in the northern Ramallah town of Sinjil. Israeli forces arrested two youths from their homes in the town of Dor, southwest of Hebron. The slaughterhouse area was also raided in Nur Shams Camp and the town of Dheaba, east of Tulkarm. 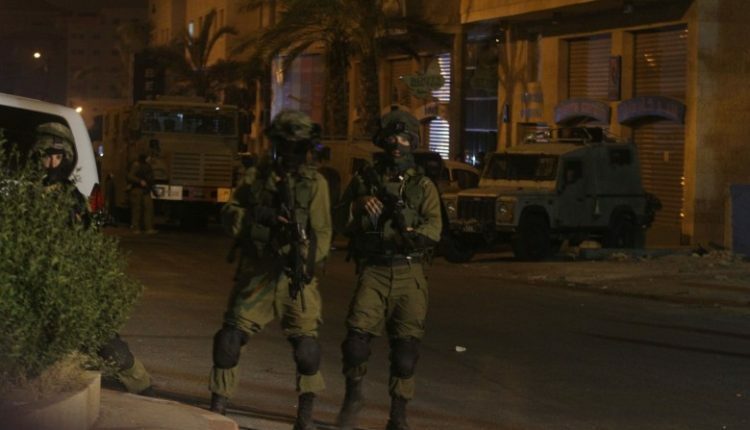 In the Bethlehem district, Sami Ali Sabah was handed over a notice to review her intelligence after they raided his home in Tekoa, southeast of Bethlehem. The occupation arrested several youths from Jerusalem, including, the Governor of Jerusalem, Adnan Ghaith, Mohammed Samir Obeid, Bashar Mahisen, Taj Eddine Maher Mahisen, Mohammed Omran Obeid.